"(They) will be hanged for a free lunch." "Repeue" is an Old French word. if this is correct then it will work on the golden ration and pi puzzles on other pages. by the approximation of pi (3.142)is a substitution cipher. subsumed by "native savagery", including bloodshed. in 1918. A bomb exploded there inside a statue of Lenin on 4/1/09. my methods of finding it, given the possible goal described below, which I would not want to disrupt. countries arrest and/or execute Bible smugglers. though the village certainly could be used as a code name. be either coordinates or driving directions. Other options remain possible. the pearls, then turn around and gore the thrower. they would only view it via anonymous proxies or open (or hacked) wireless networks. Most notable for being the arrival point of Vladimir Lenin in 1917 before the start of the October revolution. turned out to be a magic square. Recall that it contained the phrase "destruam et aedificabo,"
is the word Ersby, which is located in Finland. Could this be Finland Station? As an addendum to what I just posted: I omitted all of the the cells which contained numbers when I did this. AAQ88 is, of course, the dead man's hand. Deep Ellum has been in before. Unless it has changed, potables reign supreme. Bachet auf, ruft uns Die Stime is all reference the Second Coming of Christ. "The Bridegroom soon will call us"
"Slumbers, Wake, The Bridegroom Cometh"
"Awake, Arise, It Is The Warning"
times which have been prophesied in the Bible and by various seers. thing were the symbols from the US dollar imprinted upon these pictures. the US money symbols were a warning that the end times will start with economic problems. prophesied is in the making at this time. I do not know what Deep Ellum Cell has to do with the vacination but Deep Ellum is a place in Dallas Texas. Maybe the two major hospitals there had something to do with the trials/development. thus the missing data would lead people to be more ill than if they didn't have the vaccination. Here is the link to the publication referenced in this publication. Then you have the AAQ88 which is Dead Man's Hand and the reference to the second coming of Christ. Comments: Ace can be 1 or 11, right? not to be trifled with, and wish to change the course of history and will almost certainly do it. Take great care in your research, everyone. I stopped conducting my own because I never recognized the scope and nature of the group until I'd gone a little too far. 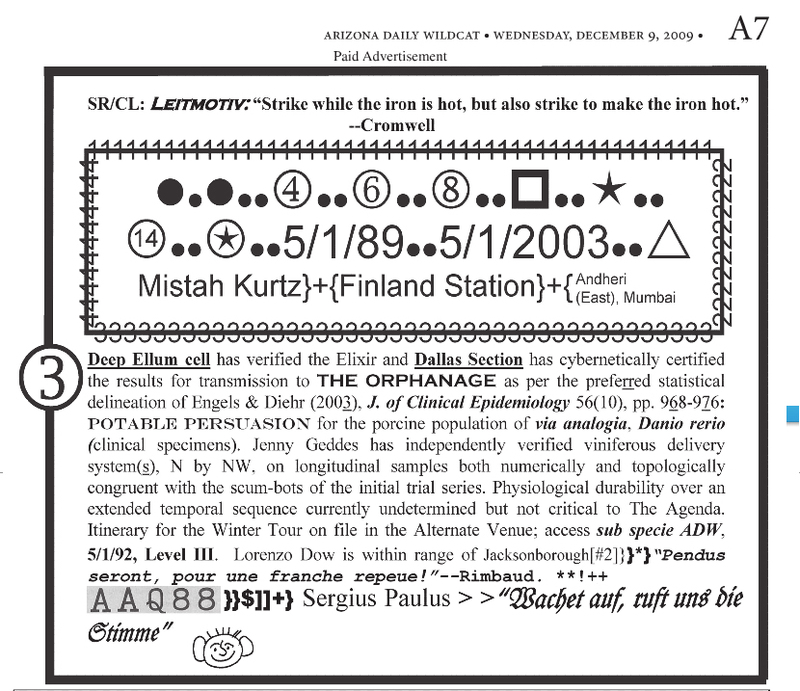 "Imputation of missing longitudinal data." Danio Rerio is a freshwater fish, the zebra fish.